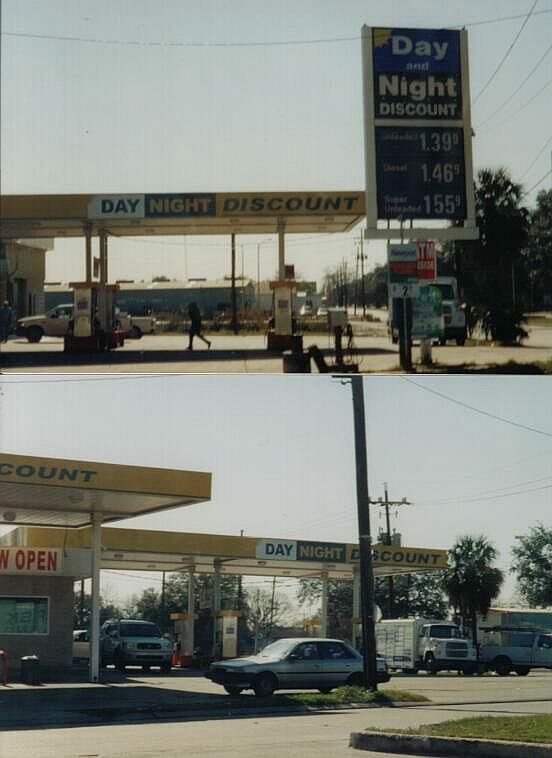 Day and Night Discount at Louisa St. and Almonaster Blvd. (near I-10) in New Orleans, LA. A former Fina location. Taken Feb. 2004 by Paul Huerkamp.